There’s no time like the present to get your book written. You could wait until tomorrow, next week, next month, or next year to write your change-inspiring book and make a difference in the world. Maybe you’ve already done that. That means it's time make a change...a personal change. Do something different. Write your transformational book, the one that will inspire change in others. No more waiting to become an Author of Change. The world needs Authors of Change...now, not later. Inspire the change you want to see in the world by writing a book that transforms lives. In the process, you will experience transformation, too. You will become an author…an Author of Change. Most of the aspiring authors I know continue to aspire. They don't become published authors because they continue talking about writing and don't write. As a seasoned writer, author, author coach, and Certified High Performance Coach, I know what it takes to get yourself to sit down and write. I have proven methods...ones my clients and I use to help us start writing...and continue writing. I know you can write your book. I know you have a sense of purpose or mission. Maybe you have a calling or a cause. You want to make the difference you know you were born to make. To do that you finally must write your change-inspiring book. Not only do I know you can write your book. I know you can do it in just three months. How? By setting a deadline, having accountability, getting support, and developing a writing plan and process that works. 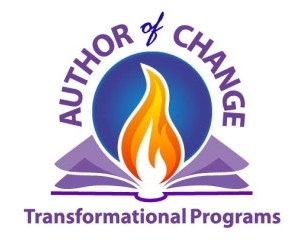 The Write Your Transformational Book Challenge is a unique program. It's based on high-performance research that shows that challenges help you level up and move closer to becoming your best self—as a person and a writer. This program is also based on my experience as an author and Author Coach. I know what helps writers stop talking and making excuses and, instead, write. A book can be an overwhelming project. The key lies in making it seem doable...even if your life or schedule seems crazy and chaotic. Only a few aspiring authors—just 10—will take the challenge and write their manuscripts between July 9 and October 1. Are you ready finally to write your book and make a difference? Of course, you are. So commit to the Write Your Transformational Book Challenge. Get the support and accountability you need to achieve your goal. Make a positive and meaningful difference with your words. Author change. 6 live coaching calls held on Mondays at 9 am PDT and archived for later listening (value $1,200). 12 writing tips delivered to your email box each week to help you write, move through blocks, and inspire you to continue writing (value $300). 3 checklists—one per month—to keep you on track (value $300). Accountability via a private Facebook group with 2x/week updates (value $500). A deadline to help you achieve your goal (invaluable). A doable plan—write under 700 words per day—less than 5,000 words per week—to complete a 60,000-word book in 3 months (invaluable). 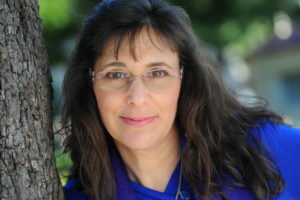 "How to Evaluate Your Book for Success"
3 Bonus laser coaching session—private 15-minute sessions with Nina Amir 1x/month (value $200). 1 bonus wrap-up group coaching session on Oct. 1 at 9 a.m. (value $250). July 9 & 23; August 6 & 20; September 4* & 17; October 1. *This session takes place on a Tuesday to accommodate both the Labor Day and Rosh Hashanah holidays.